German insurance giant Allianz is looking to set up a wholly-owned unit in Shanghai to launch hedge funds that invest abroad, according to three separate sources, as some foreign fund managers prepare for China to ease curbs on overseas investments aimed at stemming capital outflows. A unit of Allianz, the world’s fourth largest money manager by assets, will then apply for a special licence that would enable it to raise funds in China directly and invest the proceeds overseas, the sources told newswire Reuters. Allianz, Europe’s largest insurer is planning to apply for the Qualified Domestic Limited Partnership (QDLP) programme license in a bid to get round this. The licence allows foreign managers greater freedom to raise funds within a set quota from domestic high net-worth Chinese investors through a wholly owned fund management company. Licensing for the QDLP scheme has been informally suspended this year as Beijing tries to stem the capital outflows, but several foreign managers are positioning themselves in the expectation the regulators will grant a new round of QDLP licenses and quotas next year, the sources told Reuters. A spokeswoman for Allianz, which owns US bond fund manager Pimco and has nearly US$2.2 trillion assets under management globally, confirmed to Reuters that the company is in the process of setting up the wholly-owned foreign entity but declined to comment further. The Shanghai Municipal Government Financial Services Office, which runs the QDLP scheme, did not respond to requests for comment. The State Administration of Foreign Exchange, which controls China’s capital account, said in a statement the Shanghai government was responsible for any policy adjustments to the scheme. The sources declined to be identified as the information is not public, Reuters added. 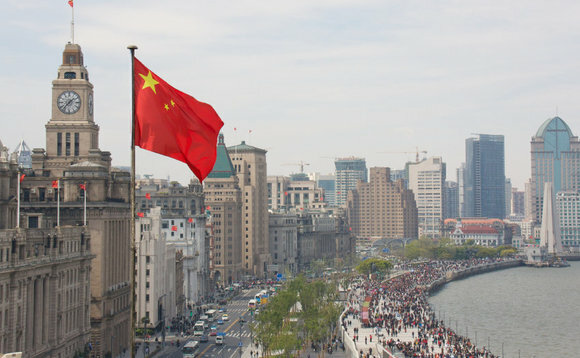 Various foreign financial institutions, including Aberdeen Asset Management, US hedge fund Bridgewater Associates and Vanguard, have recently set up stand-alone money-management firms in China as Beijing further deregulates the mainland fund industry. Previously, foreign asset managers looking to distribute investment products in China had to operate through minority-owned joint ventures with domestic firms, but Beijing has been gradually loosening the reins. The QDLP licence is designed to allow foreign alternative asset managers, namely hedge funds, to raise funds onshore to invest offshore. Unveiled in 2012, the first round of licenses was granted in 2013. China’s domestic hedge fund industry has grown dramatically, according to the Asset Management Association of China, with 7,800 private investment fund managers accounting for around US$361bn in assets as of September this year.